How to choose the right speakers, part three: set-up | What Hi-Fi? We've already covered speaker research and the buying process and now we're on the home stretch. It's time to talk set-up. So here you are, home again, in the doghouse for spending twice your original budget and facing six months of beans on toast in order to be able to pay for it – but with an exquisite new pair of speakers you already feel more strongly about than you do most of your extended family. Unfortunately, just like your extended family, they aren’t going to do anything for you unless you do something for them first. It's extremely important for speakers to be properly run in before you judge them, so don’t subject them to an extended testing session as soon as you’ve lifted them from their box and linked them to the rest of your system. Some speakers can take almost 100 hours to come on song, though for most around 24 hours should suffice. All this really means is you leave them playing, allowing the components to warm up, stretch out and get into their stride. It’s unlikely you’d want to do this at any extreme volume anyway, but be careful not to push them too hard straight away. Let them ease into a walk before you ask them to run. If we accept that you’re not really doing anything but plugging them in and waiting during task one, the most time you’ll spend getting your system to sound right will be with positioning. Take your time here. Small differences in position can make big differences to the sonic balance. Placing your speakers close to the back wall will give you more bass, while putting them further away will decrease the low end you hear, but should offer more convincing stereo imaging. This should be a balance, rather than a compromise, though rear-ported speakers – that is to say those that have a reflex port firing backwards – tend to be more sensitive to proximity to a rear wall. Do try to avoid placing your speakers in a corner. It may be convenient spatially, but you’ll almost certainly get fat, lumpy bass that will skew the whole balance of the sound. Imaging is also largely affected by the angle of the speakers. Most speakers sound best toed-in towards your most regular listening position, which ought also to be equidistant to each speaker for peak sound dispersion. Some manufacturers (Dali, for instance) design their products to fire straight ahead. Check the manual to see what’s suggested for your speakers, including how far apart to space them and the recommended distance from each surrounding wall. Ultimately it’s up to you to adjust and tweak to get the best out of your room. Now, are you sitting comfortably? Well your speakers would like to as well. You might have bought something advertised as ‘bookshelf’ but, as with their surrounding environment, the support upon which your speakers sit is of vital importance. Buy some quality stands. 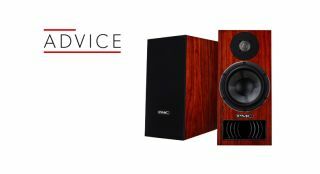 The performance of a standmount speaker depends hugely on the quality of its support, and this is another area where you shouldn’t compromise. Likewise, if you’ve opted for floorstanding speakers, make sure you fit the spikes; if you have wooden floors you’ll likely have been supplied with coin-shaped pieces to put the spikes on to avoid scratching the boards. If you don't have any of those, use actual coins. Probably pennies now you’ve spent all your money. Even if that seems painfully apparent to you, there’s a chance you’ve not considered speaker cables. Some people ignore the significance of good-quality wiring altogether, or are tempted to skimp on the last few quid. Please don't. Trust us when we say a good speaker cable can be the best-value way to upgrade your audio experience. Finally, and most importantly, enjoy your new speakers. That was the point of all this effort after all. Treat them with a little respect, and in turn they will look after you for a long, long time.